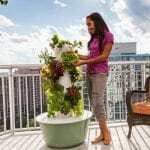 Want to grow your own fresh fruits and vegetables at home without dirt? We are using this vertical aeroponic* garden on our patio in addition to our regular garden because it makes it so easy to have fresh herbs & veggies close to the kitchen. In as little as 3 weeks, you can have better tasting, incredibly nutritious fruits and veggies for your family. 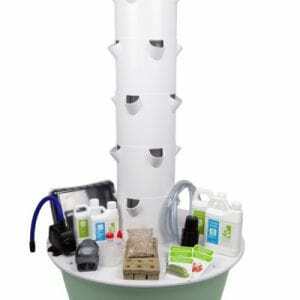 *Aeroponics is the process of growing plants in air and mist. Better than hydroponics which uses water as a growing medium, aeroponics rains natural nutrients over the roots of plants constantly oxygenating them for improved taste, smell, and color. Click HERE for more information about this transformative approach to growing food.